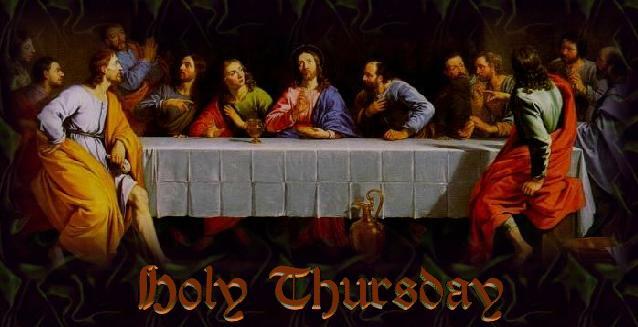 Holy Thursday | The Parish of "Our Lady Of Furness"
​Holy Thursday is the day on which Christ celebrated the Last Supper with His disciples, four days after His triumphal entry into Jerusalem on Palm Sunday. Only hours after the Last Supper, Judas would betray Christ in the Garden of Gethsemane, setting the stage for Christ’s Crucifixion on Good Friday. Holy Thursday is more than just the lead-in to Good Friday; it is, in fact, the oldest of the celebrations of Holy Week. And with good reason: Holy Thursday is the day on which Catholics commemorate the institution of three pillars of the Catholic Faith: the Sacrament of Holy Communion, the priesthood, and the Mass. During the Last Supper, Christ blessed the bread and wine with the very words that Catholic and Orthodox priests use today to consecrate the Body and Blood of Christ during the Mass and the Divine Liturgy. In telling His disciples to “Do this in remembrance of Me,” He instituted the Mass. Near the end of the Last Supper, after Judas had departed, Christ said to His disciples, “A new commandment I give unto you: That you love one another, as I have loved you, that you also love one another.” The Latin word for “commandment,” mandatum became the source for another name for Holy Thursday: Maundy Thursday. 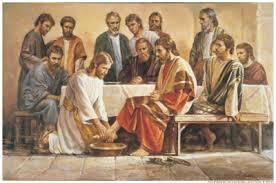 Also during this Mass there is the washing of the feet, when Jesus washed the disciples’ feet, He told them (and us), “I have given you an example, that you should do as I have done to you”. As His followers, we are to emulate Him, serving one another in lowliness of heart and mind, seeking to build one another up in humility and love.